Point your smartphone's camera at the barcode, it's best to start close to the barcode - about 3 inches away and slowly move away so that your camera's auto-focus can work - wait for 'beep' - Fresh will connect to the Enbase product database via the Internet and put the product description and its suggested expiry date into one of the Stock Lists - Fridge, Freezer or Cupboard. 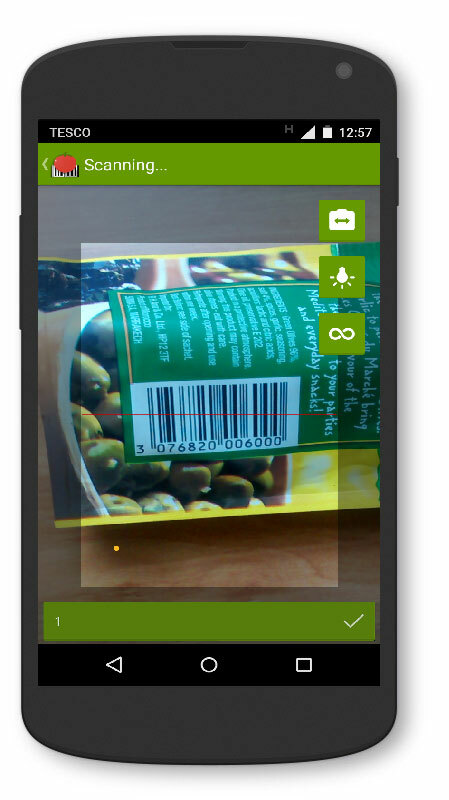 Remember your camera is not the same as the laser scanner they use in a supermarket, don't try to 'swipe' the barcode quickly, you will need to hold the item still or move slowly away so that your cameras autofocus can work. Old cameras may not have autofocus and may not work as far away as more modern cameras. This barcode will put Haagan-Dazs Strawberry Cheesecake Ice Cream 500ml onto your Fridge List. 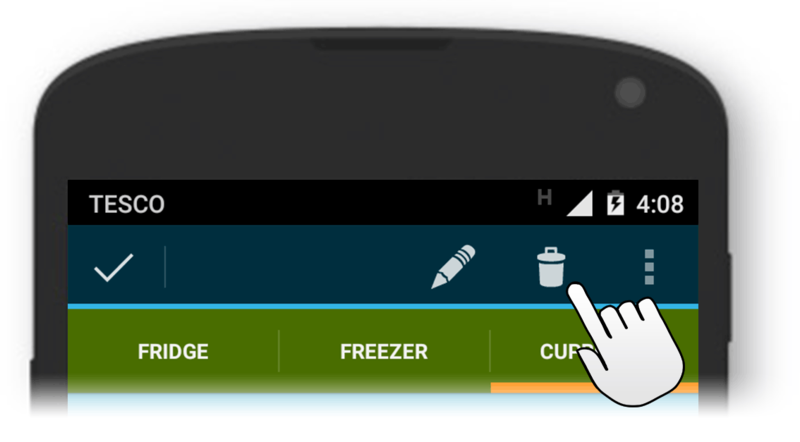 You can easily remove it - just tap and hold onto the item - an 'action bar' will appear at the top - tap the Bin icon then choose 'Bin item', this actually moves the item to your Out-of-Stock list. 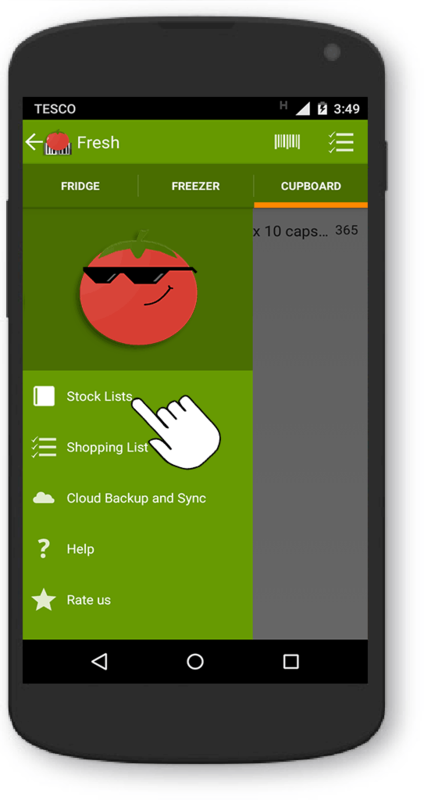 Ignore Bin Item & Order More - this adds it to your Shopping List, but we'll show you how to do it another way in Getting Started with Fresh below.